AO Vostochny Port, operator of Russia’s largest dedicated coal port (run by Port Management Company, PMC LLC) says it handled 22.4 million tonnes of export coal in January-November 2018, up 5.8%, year-on-year (vs 21.1 million tonnes of coal handed in 11M’17). According to company, it is an absolute record achieved throughout its history. Between January and November 2018, Vostochny Port unloaded more than 298,000 open-top railcars with innovative railcars (railcars of increased capacity) accounting for 77% (up 16 percent points). As compared with 290,200 open-top railcars handled in January-November 2017 this result grew by 2.7%. In November 2018 the company handled 27,100 open-top railcars. 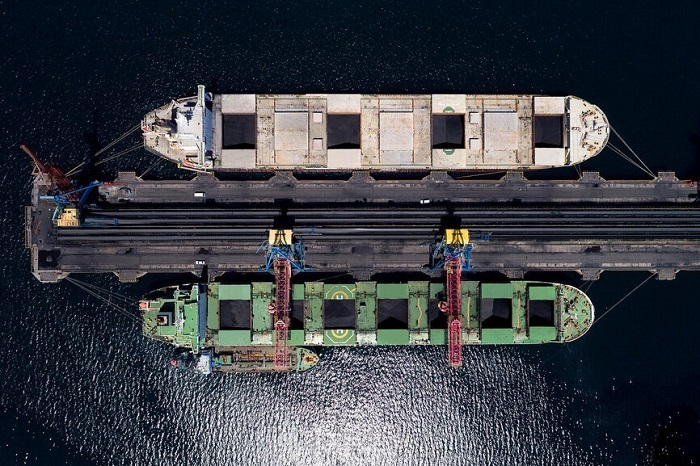 In the reporting period, the company loaded 525 dry bulk cargo carriers of different capacity including 174 Panamax ships (33%) and 53 Capesize ships (10%). In 11M’17 the company handled 42 Capesize ships (9%). In the reporting period, the company exported coal to S. Korea, Japan, Taiwan, India, China, Malaysia, Pakistan, Thailand, Vietnam and Singapore. Most of coal was dispatched to S. Korea (33%). Vgrangel, Primorsky Krai based Vostochny Port is Russia's largest dedicated open access coal port using covered stations for unloading and transfer of coal, conveyor equipment, rotary car dumpers, shiploaders and the second-to-none system of multi-stage magnetic coal separation. The port handles coal mined and exported by Russian coal companies. In 2017 coal throughput at the terminal reached 23.2 million tonnes, a fifth of all coal exports from Russia's seaports and about 30% of coal transshipment in the ports of the Far Eastern Basin. Vostochny Port is implementing an ambitious investment project on construction of the coal terminal’s Phase 3 including the construction of the federal railway infrastructure. Vostochny Port’s Phase 3 facilities will be put into operation in 2018 allowing for port capacity to reach 39-40 mln t in 2019. The coal will be delivered from Kuzbass and other coal fields of Russia. Vostochny Port’s Phase 3 is the largest private port investment project in the Far East of Russia. The total amount of investments of the port holding company represents more than 32 billion rubles. A sole executive body of Vostochny Port is OOO Port Management Company. Port Management Company is Russia's major coal port holding that exercises the powers of a single executive body of largest dedicated coal ports based in the Baltic Sea region (Rosterminalugol JSC, Ust-Luga, Leningrad Region) and in the Far East (Vostochny Port JSC, Wrangel Bay, Primorsky Territory). In 2017, total coal throughput of the holding's stevedoring companies reached 48.2 million tonnes, which is more than one third of all seaborne coal exports from Russia. The commodity is exported to more than 30 countries in Europe, the Middle East and the Asia-Pacific region. By 2019, according to PMC' estimates the total annual coal throughput across marine coal terminals will increase to 56.5 million tonnes.